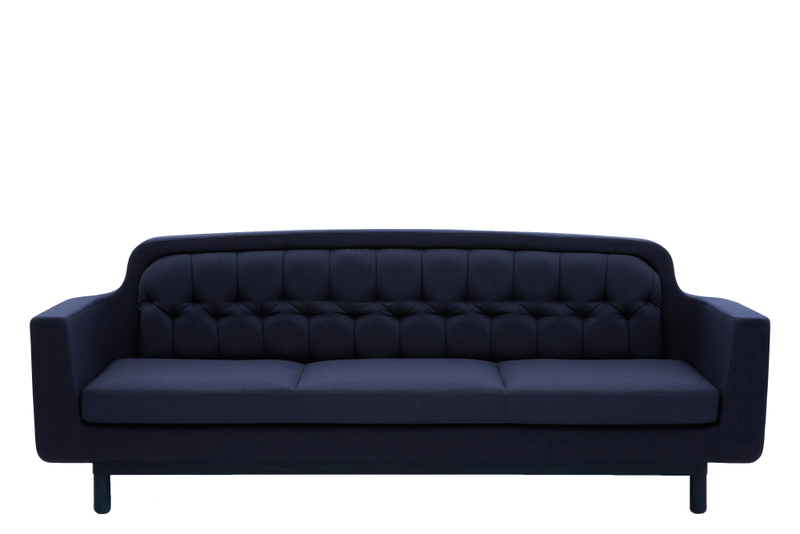 The Onkel sofa consists of a frame with cushions upholstered in either durable furniture textile or soft leather. The inspiration for the cushions derives from the more bombastic upholstered sofas typical of the pre-1950s era. The back cushion has been elegantly encapsulated in the frame to accentuate the union of two very different modes of expression. The materials used for the shell and cushions have been kept in the same color and there is a lacquered frame in a matching shade. This gives simplicity to the design and makes Onkel stand as a unified whole.